Tribune Publishing does not want to part with its California newspapers, so it is parting with its California publisher instead. On Tuesday the newspaper company fired Austin Beutner, the publisher of the Los Angeles Times and The San Diego Union-Tribune, and appointed Baltimore Sun publisher Tim Ryan in his place. The move was head-spinning because Tribune had put Beutner in charge just one year earlier. 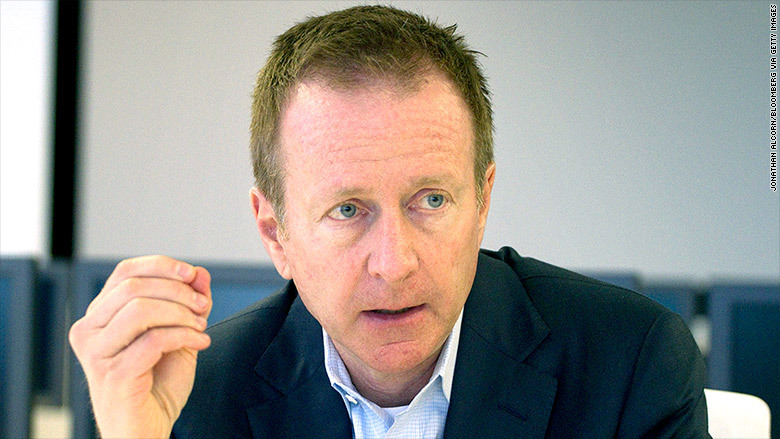 Beutner said in an interview Tuesday afternoon that he didn't know the exact reasons why he was dismissed, but "it appears" CEO Jack Griffin "has had a different view for the strategy of the company and how the L.A. Times fits with that." Griffin and Beutner were "oil and water," barely speaking in the months leading up to Tuesday's sacking, according to a Tribune executive who insisted on anonymity. Tribune had been disappointed by Beutner's spending patterns and his papers' year-over-year declines in revenue, another executive said. But Beutner's allies said he had been making necessary investments, ones that had been supported by his bosses. What may have ultimately sunk Beutner was a proposal last month, from a friend of his, the Los Angeles entrepreneur Eli Broad, to buy the California papers from Tribune. Beutner would have continued to run them. For the Times, it could have been a return to local ownership, something Beutner had sought before becoming the newspaper's publisher. He felt the sale to Broad would have been in the best interests of Tribune shareholders. But it also would have made Tribune a much smaller company. The Tribune board unanimously rejected Broad's outreach. Beutner said he had "no role" in Broad's proposal and that "I was not given a chance to advocate for or against it, no one asked my view." But Beutner's view was well-known internally, a Tribune source said, and created an unrepairable rift with Griffin. Another source discounted this version of events altogether and said the Broad proposal was a smokescreen for Beutner as he anticipated being ousted by Griffin. Through a spokesman, Griffin declined to comment on the circumstances of Beutner's departure on Tuesday. Beutner chose his words carefully. He didn't criticize Griffin directly, but he reiterated his view that the strength of papers like the L.A. Times comes from being "grounded in a local community." In his year as publisher, he pushed for local initiatives like drought coverage and a new section of the Times web site, EmergingUS, dedicated to immigration and multiculturalism. These efforts were well-received in southern California, but apparently less so in Chicago, where Tribune is based. "Whether on nuts-and-bolts matters like budgeting or just in terms of personal relationships, the estrangement between Griffin's team and Beutner's has grown steadily," industry analyst Ken Doctor said in a story for Politico New York that broke the news of Beutner's ouster. For his part, Beutner said "we've been clear in where we're going" with the Times. He specifically recalled "rave reviews" after a January presentation to Tribune's board. Tribune's announcement about Ryan becoming publisher called the California papers "a critical component of our company's portfolio and business strategy." At a newsroom meeting, staffers were told that Beutner-backed ventures like EmergingUS will not be casualties of the leadership change. But there's no doubt that the Times is, like many other papers, in a precarious financial position as it crosses the rickety bridge from print to digital. Beutner, a former investment banker, sounded apprehensive about possible cutbacks, but said he had no insight about what Tribune might do. After a time as a deputy mayor of L.A., he mounted a failed bid for the top job in 2012. There was ample speculation on Tuesday that he might mount a run for governor, but he denied having intent to run. Now that he's suddenly unemployed, "I'm probably going to be pressed into car-pool duty by my wife," he said, "and we'll see what happens next."